Here's your chance to own a Great Home in a Great Neighborhood for a Great Price! With a little paint and TLC you can make this your Dream Home on an Over Sized .30 Acre lot with Awesome views of the lake behind you. 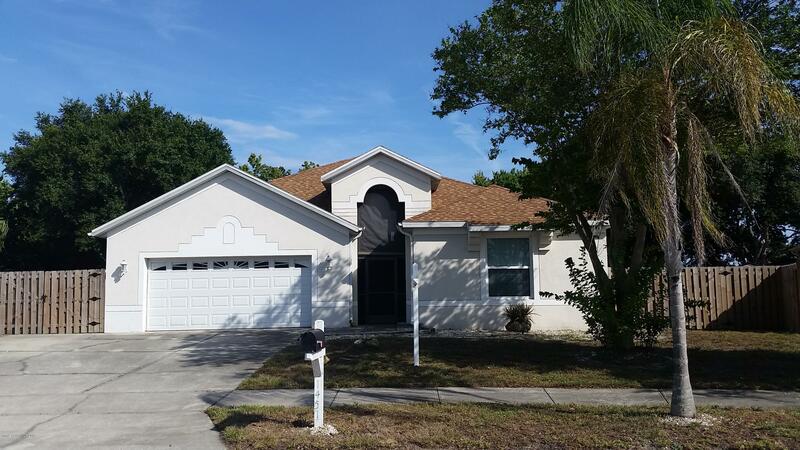 This 3 Bedroom 2 Bath 2 Car Garage home boasts an open floor plan with a Beautiful entryway. The 3rd Bedroom was turned into a Man Cave but cane easily be converted back into a Bedroom. Windows have been upgraded to Dual Pane Impact Resistant. Electric Hurricane Shutters. New Roof, Fence & Sod in 2018. Brand New Microwave & Dishwasher.